Congratulations! Your business is growing and starting to get some serious runs on the board. 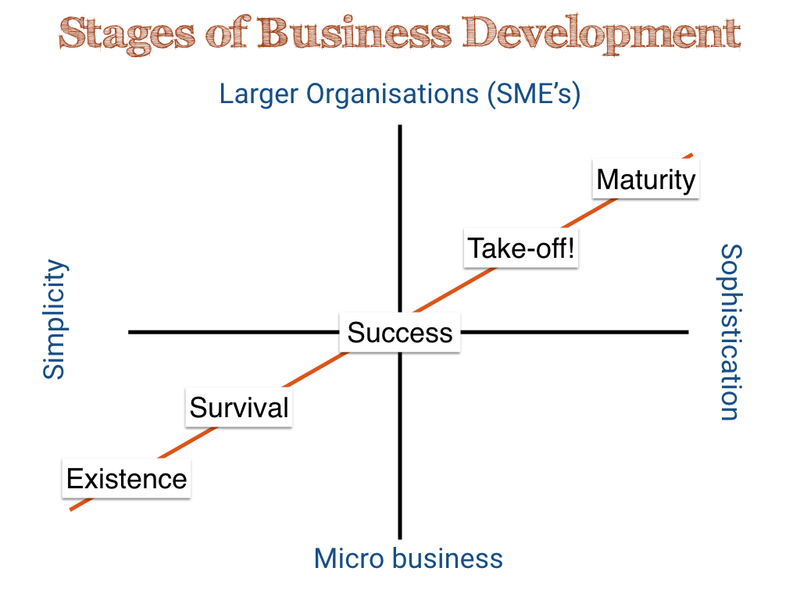 Your Business Diagnostic indicated you are in the Survival Stage of business development. The next step in your growth is to move onto the Success stage. What do you want your organisation to be, do and achieve in the next few years? Identify your Vision, Strategies and specific actions. When you identify your Vision, base it on your strengths and the realities of your market. Measure your culture so you understand whether it supports achieving your Vision. Identify and describe your primary target market. Don’t be afraid to go after a niche – you have a better chance of standing out in a smaller category. Just be sure the niche is commercially viable. Explore that primary target market so you understand as much as you can about them – who they are, what their pain is, what their needs and wants are. Research them on the internet or in the library (desk research) but also ask them (primary research). If you’re speaking to them (which is my recommendation), be sure to ask them for feedback on your products and services so you can better tailor them to meet real needs. Do pay attention to what your competitors are doing and be clear about what you offer compared with their offering. Ask yourself, why would a client buy from you rather than your competition? Start building your brand (if you haven’t done so already). Think about how your customers experience your business, the benefits they get from dealing with you and what you’re like to do business with. Once you have identified and articulated your brand, ensure you represent it consistently in all your communications. Look at your website and ensure it is focussed on WIIFM (what’s in it for them) for your prospects to consider you. Continue with your clear, focussed and consistent sales activity. Consider purchasing a Customer Relationship Management System (CRM) if you haven’t already to keep track of how your client relationships are building. Watch income and costs to increase profitability. Develop your leaders and managers so they can start actively contributing to the business. Increase sophistication of your recruitment, retention and engagement processes. Ensure they understand precisely what is expected of them. Work back from your desired customer experience to identify what contributes to it. Then develop systems to deliver the regular repeat elements of the experience. Understand the flow of work through your business and develop – or refine – systems to increase efficiency and effectiveness. If you feel you have the capability and accountability necessary to move from Existence to Survival Stage on your own, I wish you the very best. or email me on suzanne@purposetoprofit.com.au for a chat. Twitter: If you want to plan for successful business growth, visit www.purposetoprofit.com.au/business-diagnostic Just did it. Really valuable.